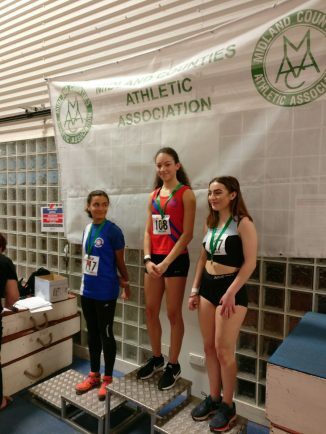 NIKITA GOTTHARDT-MILLS shattered a 26-year-old Bromsgrove & Redditch Athletic Club record as she powered to victory in the Midlands Indoor Athletics Championships U15 girls’ 60m. Gotthardt-Mills improved her times throughout the rounds at the High Performance Centre in Birmingham before convincingly winning the final in an impressive 7.87secs – lifting herself into third place in the UK rankings for that event age group. Her blistering time would have placed her second in both the U17 and U20 women’s finals. There was plenty of other B&R involvement in the Midland Counties Athletic Association event including Matt Griffin who, having moved up to U17 and higher hurdles this year, finished fourth in the 60m hurdles final, just outside his personal best and club record he set a fortnight earlier. The three athletes ahead of him were all in their second year of the age group. Josh Pearson and George Clements have also moved up an age group to U20 and, despite still being only 16, both ran well over the 60m sprint against much older opposition. 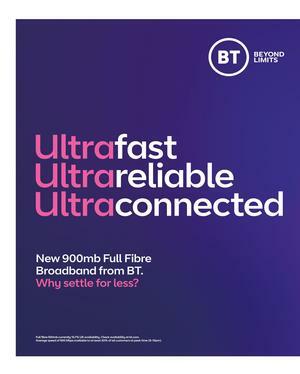 Pearson recorded a PB of 7.20secs and missed the final of six athletes by one place (seventh quickest on the day), whilst Clements was just off his PB with 7.57secs and finished two places behind Pearson in the heat. In the field events, Charlie Husbands continued his consistent jumping to once again clear 1.60m to earn bronze in the U17 high jump and Tom Ward equalled his season’s best of 1.70m to win a bronze medal in the U20 men’s high jump. Will Harman leapt 5.47m to claim silver in the U20 men’s long jump and Megan Haines improved her PB by more than 20cm to jump 4.50m and finish seventh in the U15 girls’ long jump in her first year in this age group. Gotthardt-Mills (60m), Griffin (60m hurdles), Pearson (400m), Clements (60m) and Stewart Greenhalgh (400m), accompanied by their coach Paul Gripton, are all heading up to the English Institute of Sport in Sheffield at the end of this month for the England Age Group National Indoor Championships.